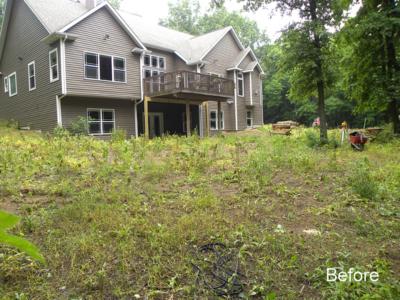 The homeowners wanted the complete package including a hot tub, water feature, fire pit and a new deck. 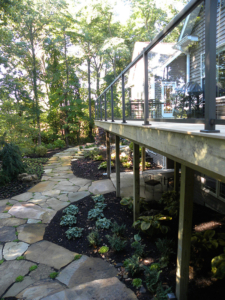 We began by addressing the undersized deck. 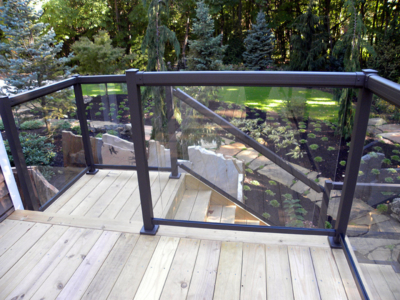 We designed a new deck with glass and steel rails to set off the new view of the landscaping. 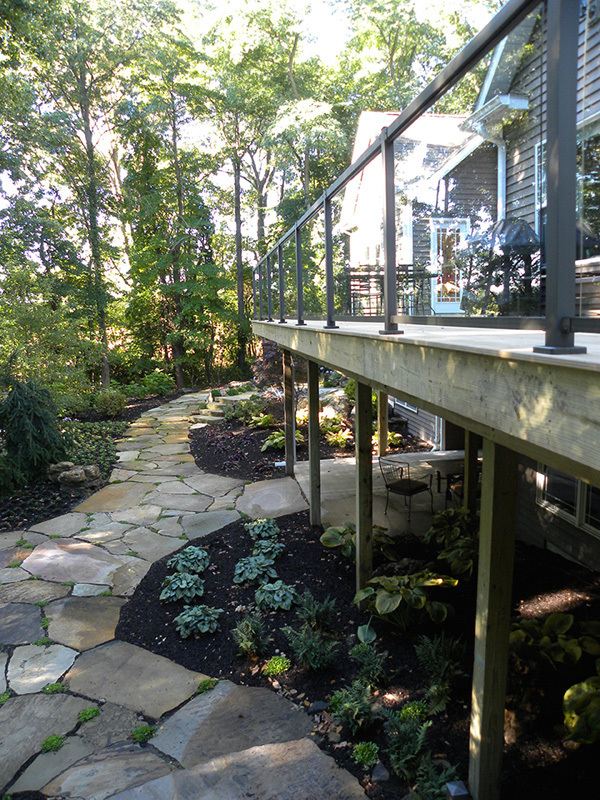 A new staircase takes you from the deck down to the gardens. Large pieces of flagstone were used under portions of the deck to hide unsightly, HVAC, utility, and generator equipment. 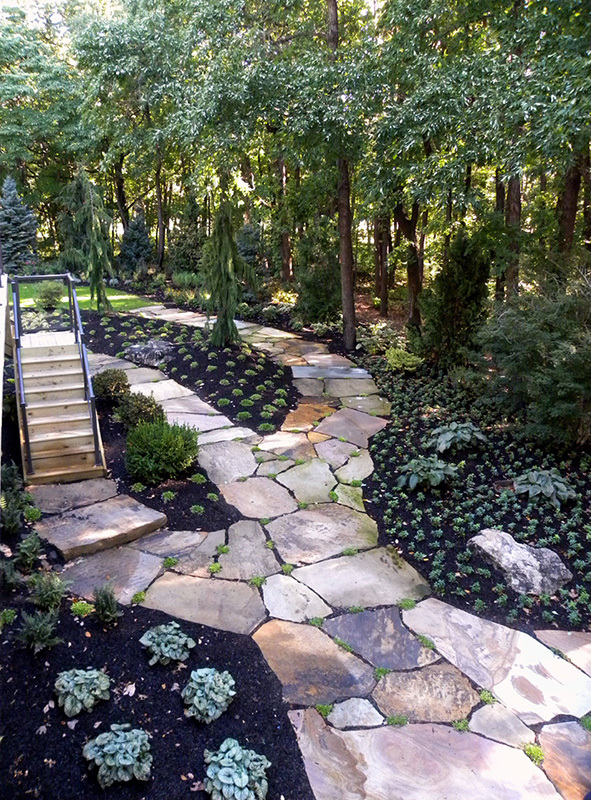 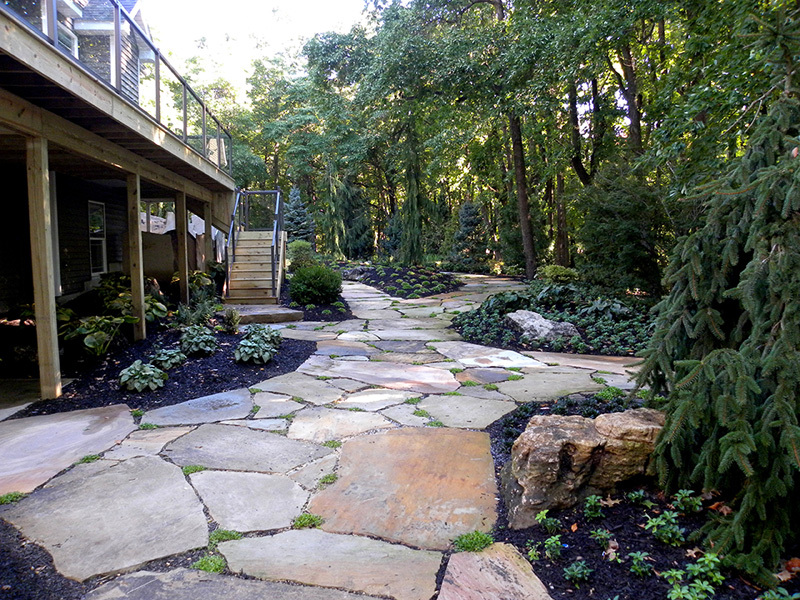 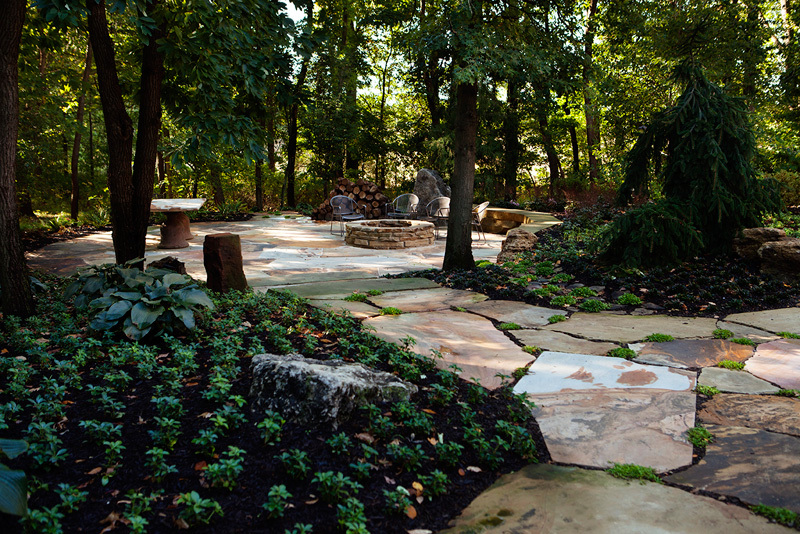 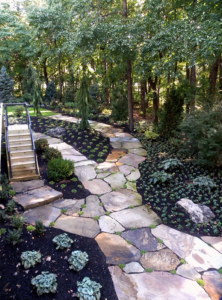 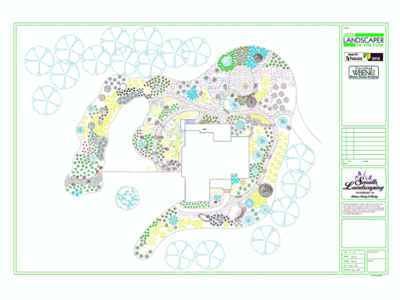 A network of flagstone paths bring the homeowners around the home and to the back yard. 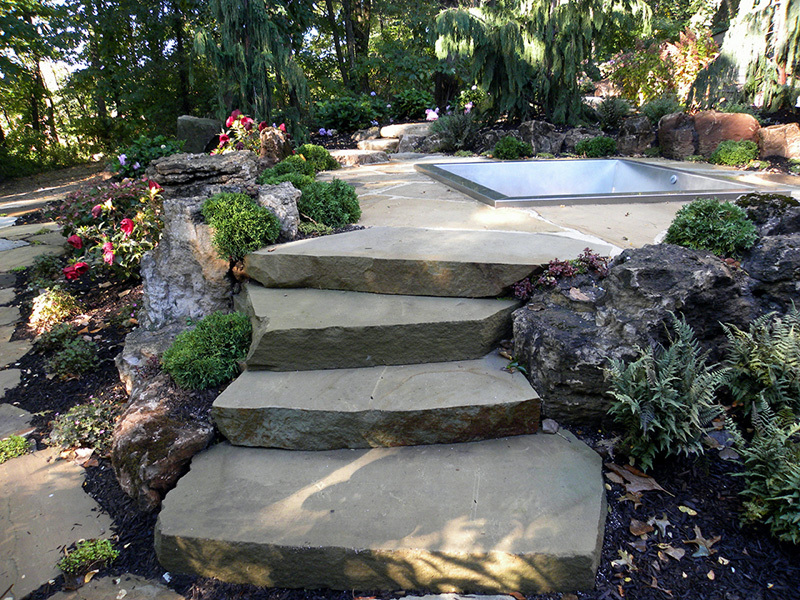 Natural stone steps lead up and down various elevation changes. 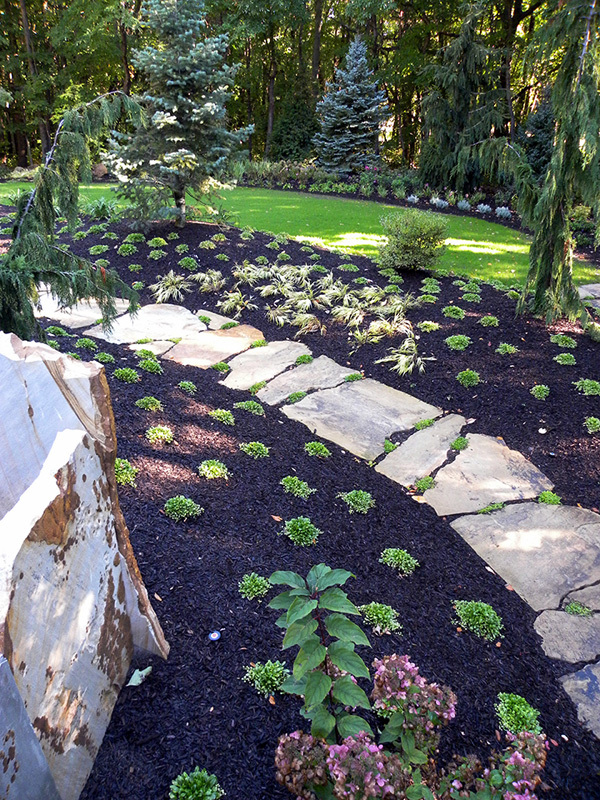 Over 1500 yards of pulverized topsoil peat were used to create the grade changes and undulating planting beds. 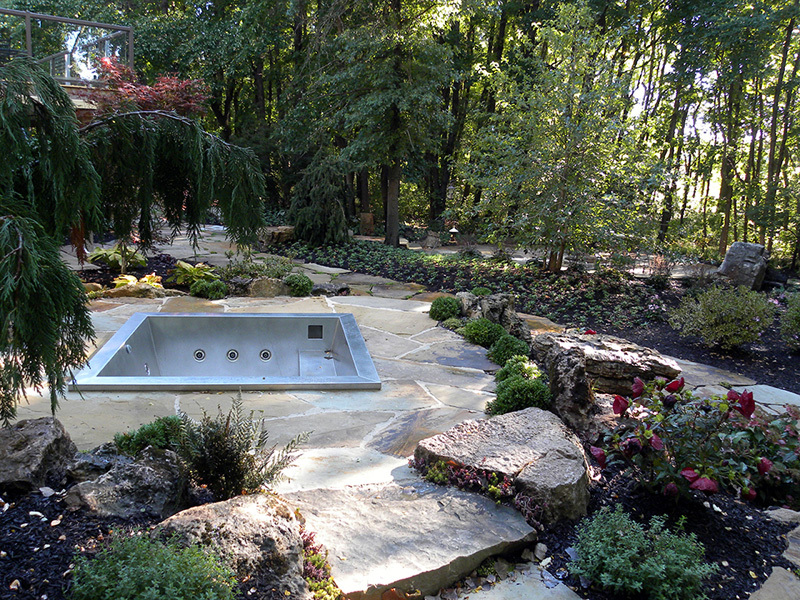 The hot tub was put in a raised bed and surrounded by flagstone. Another path leads to the lowest portion of the property where the fire pit and dining/entertaining area are now located. 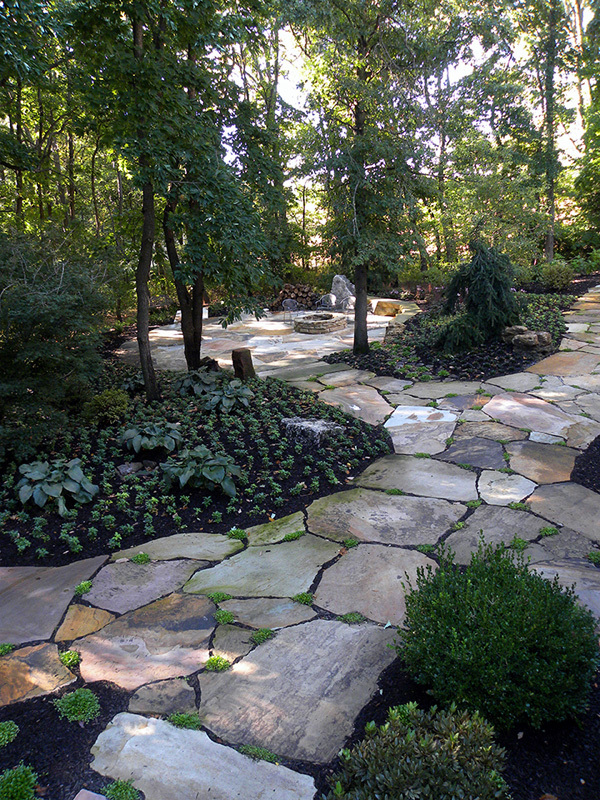 The paths and patios required over 50 tons of flagstone. 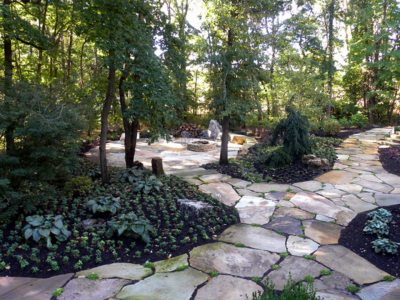 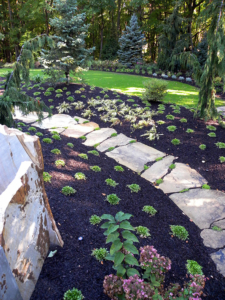 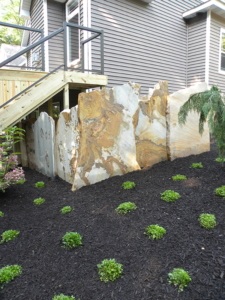 68 tons of limestone boulders were used to hold back the soil where needed and to provide texture contrast with the landscaping. 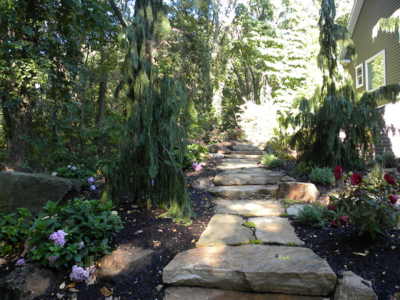 Natural stone steps were used where grade changes occur in the paths. 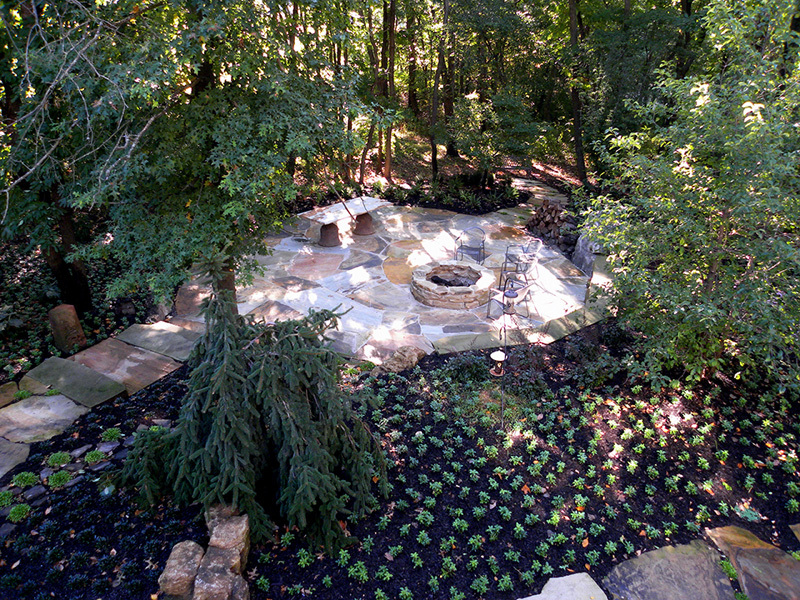 The joints in the patio and fire pit use permeable sand for drainage. The hot tub is a stainless steel unit which is seated on a poured concrete pad and surrounded by drain stone base material and covered with flagstone. 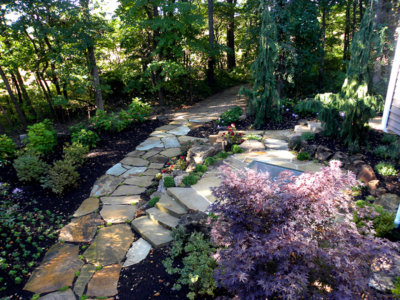 A beautiful pond was designed for the front of the home to welcome visitors and transform the front porch into an intimate, relaxing space. We used a bead filtration system to keep the water clean. The system also features an automated back flush system for less maintenance. 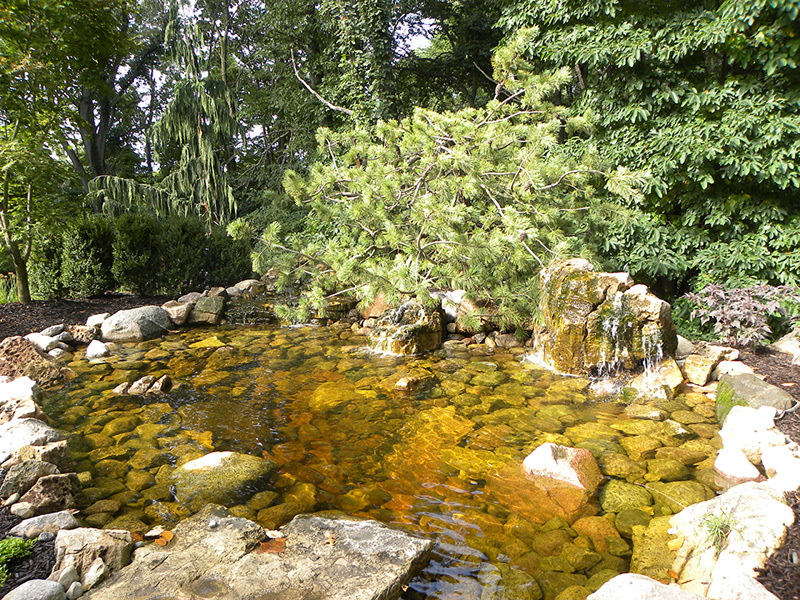 The water feature is composed of large limestone boulders with holes drilled in key locations. 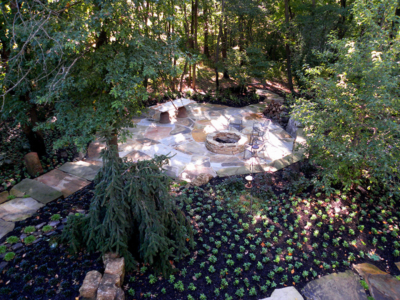 A manifold was made to distribute the water from the pump through the various drilled holes. 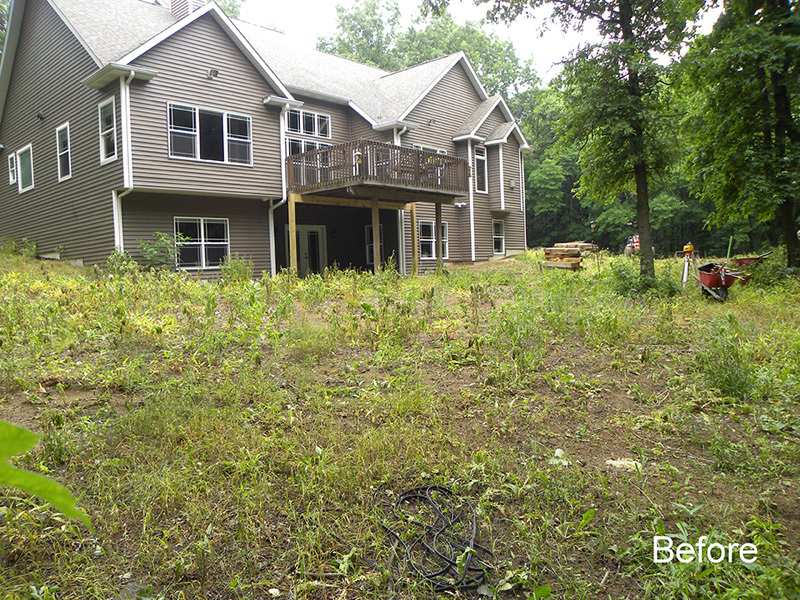 As far as infrastructure goes, all the gutters from the home were buried using 500’ of PVC. 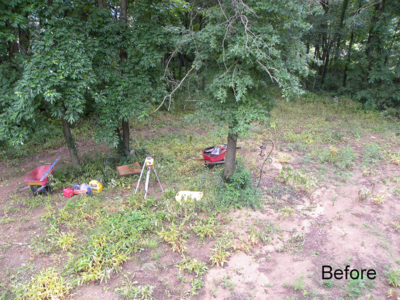 Over 400’ of conduit was buried to carry electricity where needed. Additional parking was added to the driveway and the driveway itself, all 800’, was re-graded and topped with 240 tons of limestone. 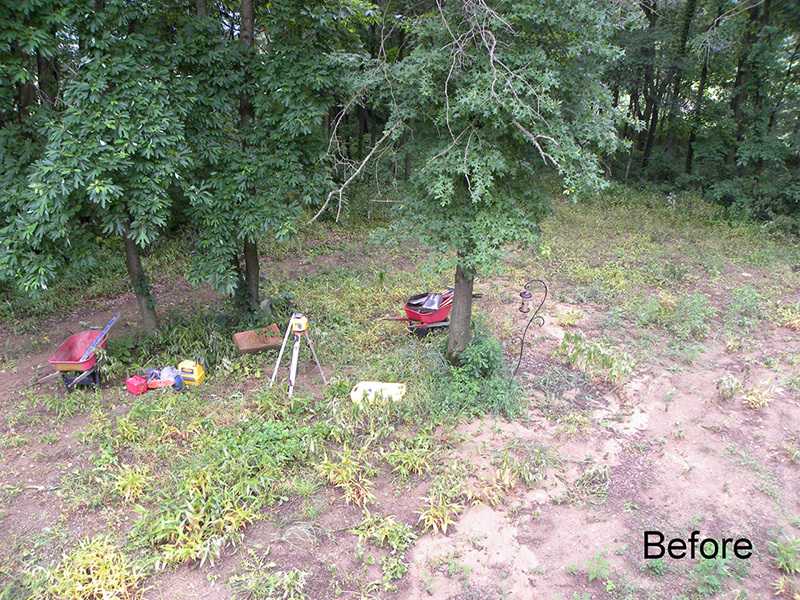 Many of the larger existing trees remained while we cleaned out all the brush. 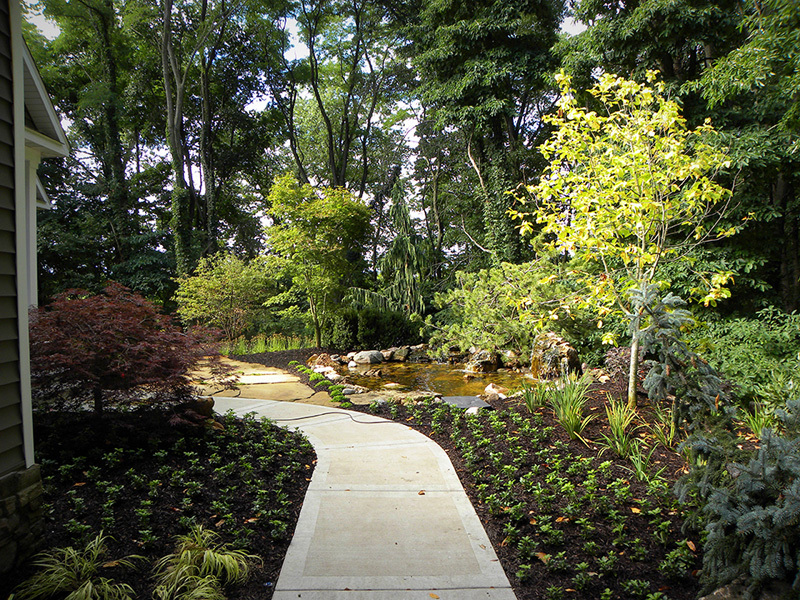 Of course, we completed the project with landscaping including Japanese Maples, Dogwood, yellow Magnolias, and other trees and evergreens. 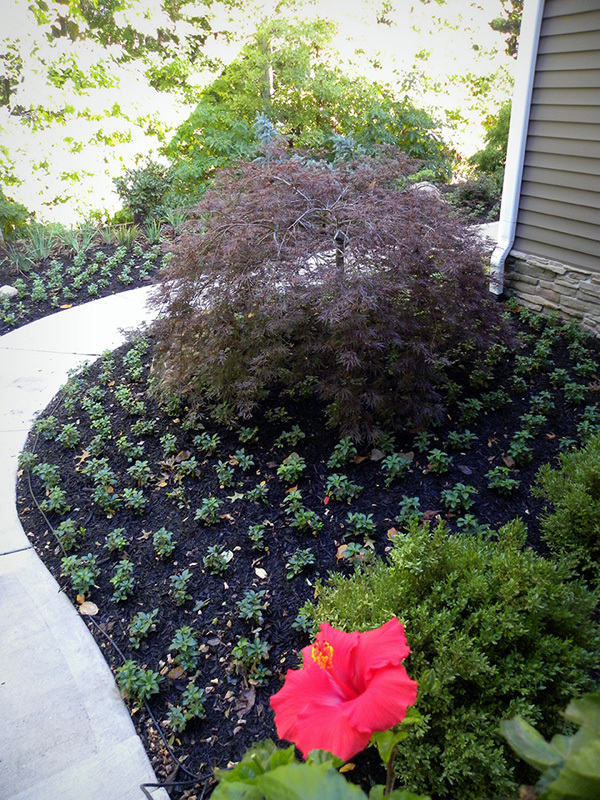 Groups of flowering shrubs, thousands of perennials, grasses, and ground covers finished the beautification.